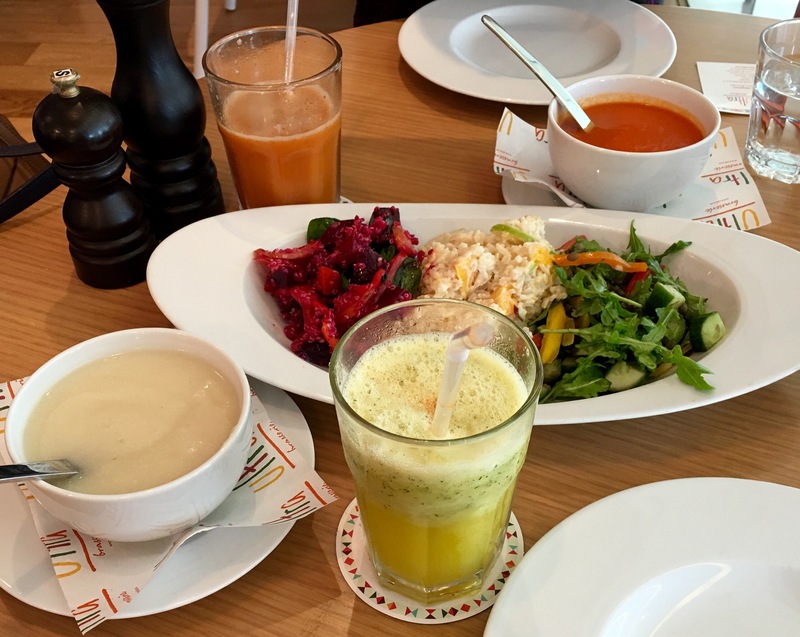 I am happy that the Healthy Food concept is gaining popularity in Dubai. What interested me in visiting Ultra Brassiere is that they use the finest quality ingredients. They serve food using the finest organic produce and ingredients sourced from Australia, Holland and locally where possible. Recently they have launched a brand new menu of superfoods to include a range of Vegan and gluten free breakfast, lunch and dinner. The healthy foodie in me was excited when I got an invite to try their new menu. I took my friend Nipa along to Ultra Brassiere for a healthy lunch. Ultra Brassiere has 2 branches, one in Dubai Marina and the other branch in Emaar Square. We went to the Emaar Square branch, Downtown Dubai. It was around 12:45 in the noon when we reached Ultra Brassiere and it was fully packed. Thankfully, there was a table available for us. We could see that the majority of the crowd were hip and trendy office executives and businessmen. The place was buzzing. Ultra Brassiere is a chic and modern cafe. It has an urban bistro vibe. They have a deli and retail segment. 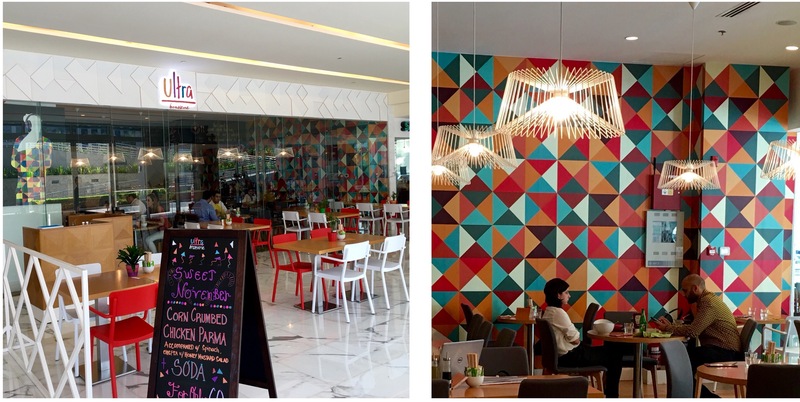 This stylish urban bistro is very vibrant and colorful. We liked the multi color theme, where the wall papers, menu and paper napkins were themed. Ultra Brassiere is very spacious, they have both indoor and outdoor seating area. First to arrive was our drinks. 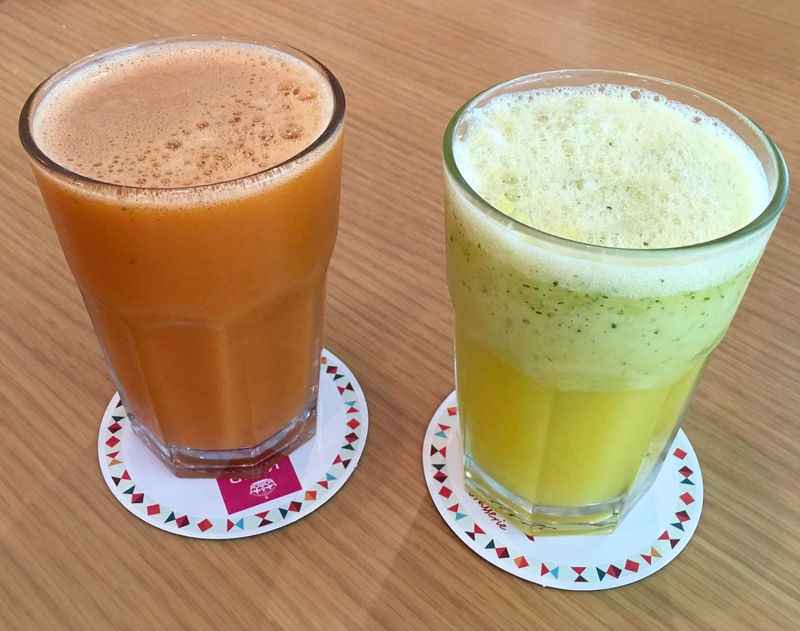 Both of us ordered freshly squeezed juices. My friend Nipa ordered the drink named Heart Beet. It contained beetroot, carrot,pear, apple, lemon and ginger juice. I ordered Thyme for Ginger. It was a mix of ginger,thyme, orange, lemon and wild honey. Both our drinks were very refreshing and tasty. They also have a wide range of smoothies. We ordered the soup of the day, that is made with local market produce. We had tomato soup and cauliflower soup. The soup was fresh, creamy and tasty. We tried three different salads from their deli. They have nine varieties of salad in the deli and every day they change their salad menu in the deli. 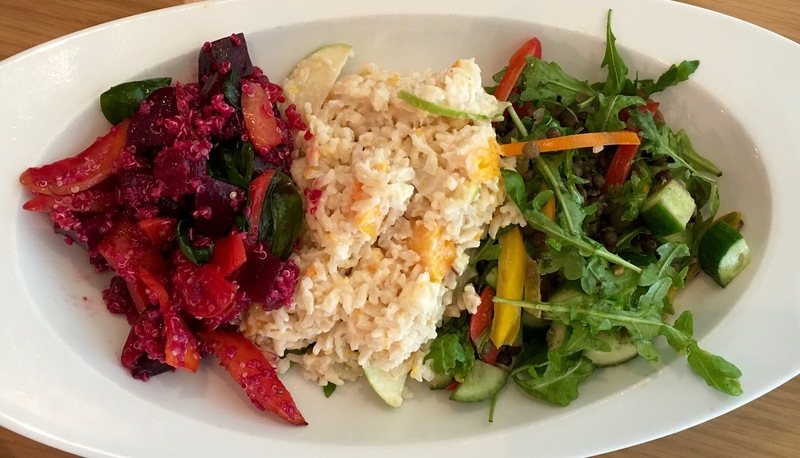 We had the beetroot and quinoa salad, pumpkin,brown rice, apple and yoghurt salad and the lentil salad with cucumber, bell peppers,rocket leaves, tomato and lemon vinaigrette. We loved the beetroot and quinoa salad and lentil salad. All the salads are freshly made in-store. We ordered Zucchini noodles and grilled tofu burger for our main course. Zucchini noodles a.k.a. Zoodles is a healthy, grain free alternative to pasta. 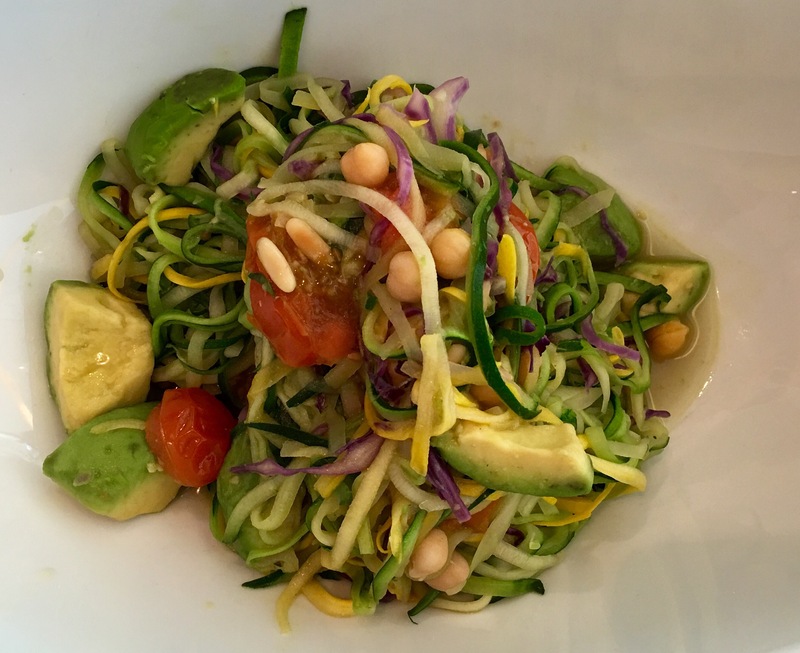 The shredded zucchini noodles had creamy avocado purée, cherry tomatoes and pine nuts. Wow, this healthy alternative was tasty too. 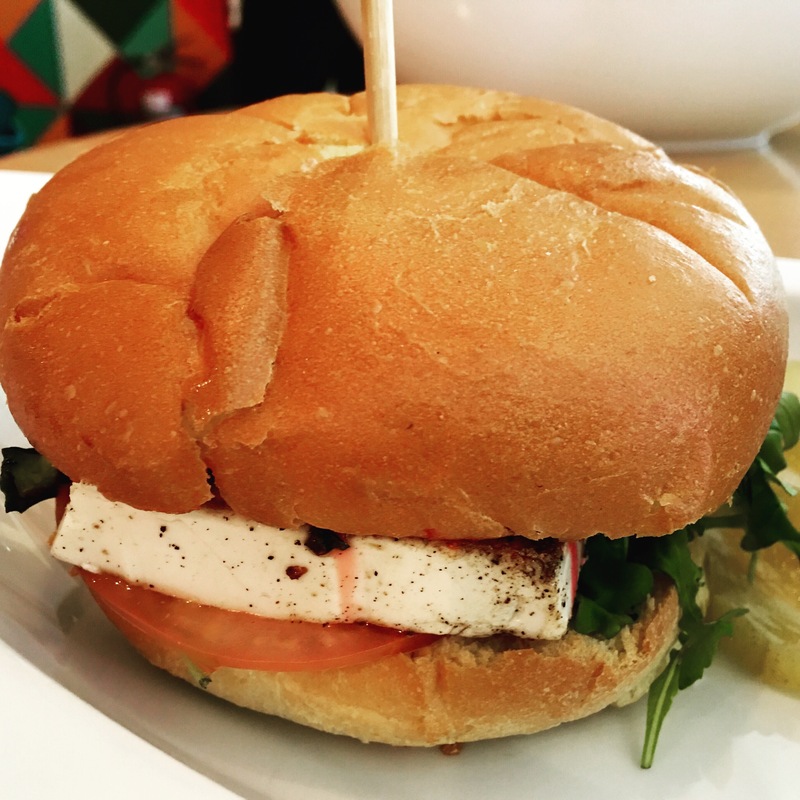 The grilled tofu burger had beetroot,rocket leaves,grilled zucchini and tomato chutney with grilled tofu. I would love to suggest this burger. It was delicious. 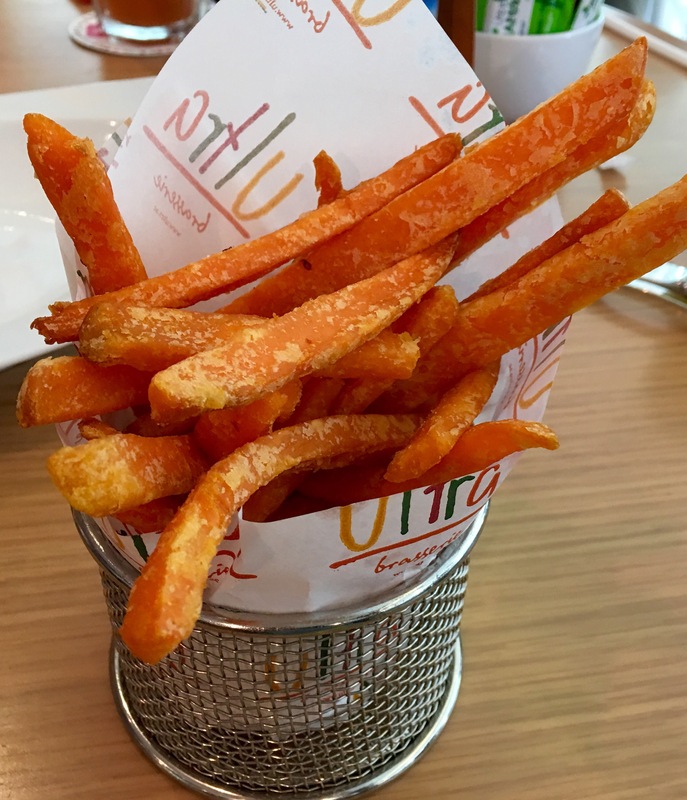 All their burgers come with sweet potato fries. The fries were oven baked and crisp. We loved the sweet and salty taste. They are quite addictive. We were wondering what will we have for dessert. Can there be a healthy dessert apart from fruits? 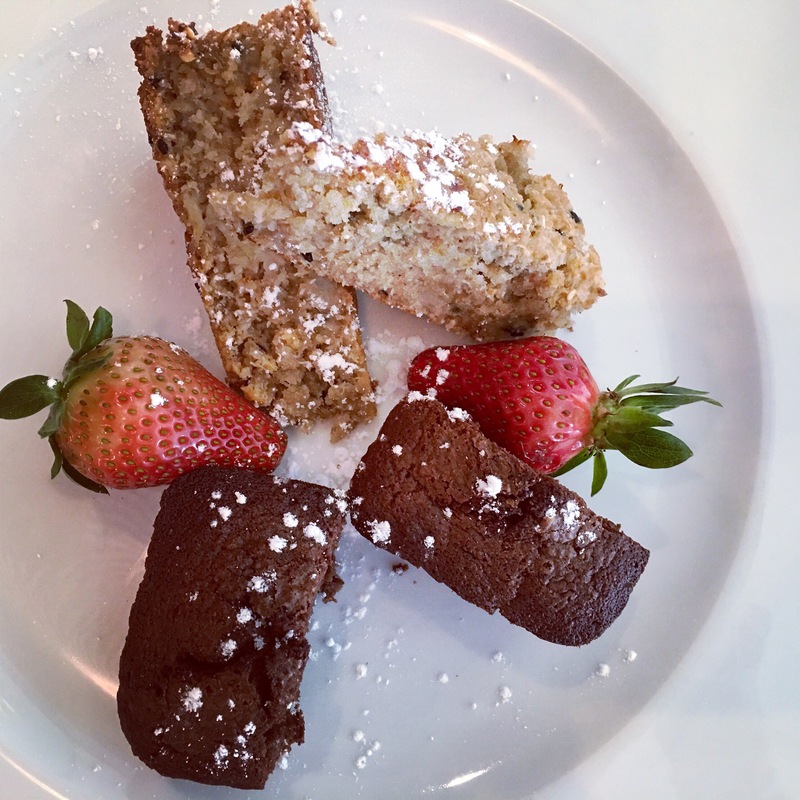 We were served a slice of quinoa cake and chocolate brownie. Quinoa is my favorite superfood and I had never tried a quinoa cake slice before. We liked it. It was not very sweet and it tasted yum. Even the chocolate brownie was very light and cakey compared to the regular ones that are dense and fudgy. Ultra Brassiere offers a good variety of muffins,pastries,sandwiches, wraps, burgers,quiches,salads,soups, mains and sides. They have a good breakfast menu, I certainly want to try their breakfast next. Apart from fresh juices and chilled drinks, they also serve organic free traded premium coffee and tea. You can expect high quality and tasty meal, good service and vibrant atmosphere. They serve healthy food that tastes good. I would love to suggest Ultra Brassiere to all the health conscious foodies.